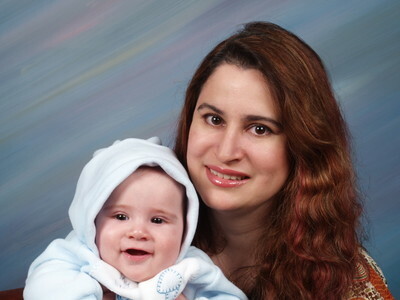 This is my wife and son. Seriously. I don't know what I've done to deserve them, but it must have been good. The Ron Paul candidacy has consistently surprised me (and I've followed Ron for years). All of my sisters are on board, a fair chunk of my friends and I even had a random older lady follow my car to find out where I got my bumpersticker! The fundraising has been amazing. I remember when we were excited about $1 million in a week, and then November 5th we raised $4.2 million in one flipping day. And look out for Dec 16th. All that being said, I still know it is a long shot that Ron will get elected. So, I ask, is there a point to all of this if he does end up losing? First is the educational factor. Many "newbs" are drawn to Paul's war position, or his civil rights stance, or his fearlessness and straight forward talk. Then they learn about his other positions. They have probably never even heard someone question the Fed. They didn't realize that our "free market" is actually more of a corporatocracy, with large corporations shaping legislation for their personal advantage. They come for the war and stay for the variety of unconventional but compelling ideas. Second is the organization factor. We now all know each other. Friendships, mailing lists, groups, and trust has been developed. When someone similar comes along in the future, we will be ready to go. Finally, and I think most importantly, is Paul's opinions are very much "on record". If the dire predictions of Paul and his supporters do come true and the American Empire flunders and falls, when it is time to rebuild EVERYONE will (or at least should) know who predicted it. If the dollar collapses and we plunge into depression. If our government goes bankrupt from fighting overseas wars we do not need to be in. If we head even further down the police state path. All these things were predicted now. Even if you are a doubter, or think Ron and his supporters are nut jobs, remember the predictions. If they are right, we will welcome you to the freedom movement with open arms. Mike Nifong has actually been given justice. His vicious prosecution without evidence has not only been stopped, but he has been removed from office and has been banned from practicing law. The media (and the bar) have been playing this as if it restores justice into an otherwise pristine system. They want you to believe that Mike Nifong was some rogue, and that prosecutions for political reasons and with little or no evidence rarey ever happen. Nothing could be further from the truth. The Duke players where able to defend themselves at great cost, financially and personally. Thousands of others do not have such resources at their disposal. Plea bargains are used ruthlessly, and many plead guilty to crimes they did not commit simply because they are afraid of going to jail because they cannot defend themselves well. In the Nifong debacle, he was apparently motivated by appealing to minorities and women. But the much more common politicial motiviation is to appear "tough on crime". For that reason prosecutors are interested in convictions, not justice. Their victims are not well heeled rich white college students, but very often poor, minority and sometimes barely literate people who they can bully without reprisals. Do not let this case decieve you: There are many problems with what passes for justice in this country, and prosecutors are very often motivated by self interest, not justice. For those of my friends who don't know (and the people who don't know me), my wife Kim is 4 and a half months pregnant! She's due on Nov. 3rd, and we're very excited. Yesterday we learned yesterday that it's a boy! More importantly, we learned that everything looks perfectly healthy so far. All the organs are in the right places and are developing naturally. One of the coolest things in all of this is that my younger sister is also having her first baby (a girl), due a few weeks before Kim! First person to post "This will change everything for you" get's the Captain Obvious prize. It's not that I disagree, it's that I have now heard that from just about everyone I know, and many I don't. How it will change things is another story entirely, and from what I can tell and what I know of babies and children (I've got 7 nieces and nephews, a few of which I helped raise) that will be unique to how our little boy turns out. So, over the next few days I'll post my thoughts on our impending "everything will change". I'll break it into my three signature topics: Faith, freedom and frags. For now, we are very happy and looking forward to meeting this brand new human being in the fall. To the point: Vote for Ron Paul!!! I myself (and my sister, and many other people I know) am registering Republican just to vote for him in the primaries. He is a nine term congressman from Texas, running for President in the Republican party. He basically takes a very literal reading of the constitution and sticks to it, no matter what. Which is remarkable. They call him "Dr. No", since he votes no on almost everything and he is, I believe, the only MD in Congress (ob/gyn). He has been against the war from the beginning, not wavering in his opposition once. He voted no on the so called "Patriot Act", twice (both times it came up, he's not stuffing the ballot!). He votes against taxes, foreign aid, big business subsidies, welfare, the UN, gun control, and giving medals out to noble people at taxpayer expense, though he will offer his OWN person money instead. I haven't officially endorsed Paul's run yet, as it almost seemed too obvious. He is the only politician I ever have actually given money to (and I will again). He is ALL over the nets, do a search on him on any of the major sites to find a simply embarrasing amount of media and blog coverage, though the MSM is trying hard to ignore him, hoping he will just go away. It's almost dizying to have a the politician I support getting actual press and even some respect. He has stood his ground, even in the face of ridiculous acusations and mischaracterizations of his positions. I know he is highly unlikely to win, but maybe he can at least change the way people talk about politics in this country. I've followed Zimbabwe (morbidly) for years. None of the misfortunes visited upon that country in the past 10 years have surprised me for a second. They were telegraphed by the policies of Robert Mugabe, murderer, thief and one of the most evil men on the planet. Interesting, the TITLE of the above article mentions the "Money printing Zimbabwe central bank" but nothing is mentioned in the text of the article. Remarkably, this article mentioned that Mugabe got his economics degree at the University of London, and that he believes printing money helps to keep prices down!!! Remind me not to get a degree there. There is a small mention of some money printing at the very bottom of the article, which is ridden with economic fallacies. It turns out, for anyone willing to do research, that Robert Mugabe has been printing TRILLIONS of dollars every year. TRILLIONS!! That is the true reason for the inflation. Yet, in the articles I linked to above, it is hardly mentioned once, and never is the amount of printing even hinted at. Now, why would that be? My personal take is that people in this country are fed the line that inflation is caused by increased wages and employment. Essentially, the line that what is good for the average joe worker is BAD for the economy! That prices were stable (as in, did not get higher AT ALL) for the first 150 years of US history is never brought up. The writers of these articles are either deliberately avoiding mentioning the link between printing (or "introducing" as the fed does) money and inflation because they want to avoid upsetting people, or, more likely, it simply doesn't even occur to them! Wake up folks, the Federal Reserve is taking money out of your pocket every fricking year, to benefit big businesses and government at the poor and middle class' expense. My workplace, like many others, has a "no guns allowed" policy. It goes so far as to prohibit employees from having guns in their cars when they are parked on company property, no matter how they are stored. It is a farce, of course. First off, it's not like they will ever search peoples cars. Second, I cannot see how it would deter any kind of workplace shooting. It's not like there ISN'T a policy against shooting co-workers. The prohibition against guns at the workplace will, at the very best, simply ensure that no one could fight back if someone were to show up with a gun. Like has happened at workplaces and schools across the country. Not that I'm worried about someone shooting up my office. Not that I'd carry. Not that I'm advocating folks carrying their handgun to meetings. Geeze. Just that I don't see the point of the prohibition. If you don't trust your co-workers to not shoot you, what the heck are you doing working with them? I do not know a single co-worker I wouldn't trust to not shoot me, frankly, no matter how bad we've disagreed in the past. And if you have people at your work you wouldn't trust with a (licensed) gun, I would recommend finding a different job. Don't forget that in states with legal concealed carry, random people you see on the street could be carrying a gun. Yet it's your co-workers you are worried about? There seems to be this magical belief that the very presence of a gun makes people in more danger, like the gun is possesed by evil spirits. No, the gun is carried by people, and it is the people who you must make decisions about. Gun control makes the decision that ordinary, law abiding people are dangerous lunatics that can't be trusted, but police and military can do no wrong. Think about that. I just got ticked off enough to call into a radio show (again), this time national host Jerry Doyle. He was ranting about how George Bush backed off from the term "Islamic Fascists". While I wouldn't credit Bush with backing off because the term makes absolutely zero sense (probably more to appease the Saudi's), that doesn't change the fact that the term makes absolutely zero sense!!! Fascism is a political and economic system that is Nationalist, Socialist, Imperialist and Militaristic, among many other things. A core tenant of the Fascist movement was that you would control the people by controlling industry. Fascism was created by industrialized civilizations in the 20th century. The Islamic terrorists and governments barely even qualify to be on par with the 18th century (and arguably the 8th), much less the 20th. How can you control people through industry when you have barely any industry!? Not to mention that Islamic Fundamentalism is centered around a religion, not a nation. But we don't like Fascists! So, we'll call anyone we don't like fascists, regardless of what the actual meaning of the word is. The alarming thing is that was pretty much what Jerry Doyle said when I was on. He even asked if I was in the military, and pointed out that someone who WAS in the military said they were fascists, so they must be. Seriously. He said we can't pick over the meanings of words while the enemy gets stronger. Sure, let's just call them "Islamic Bananas", cus hey, words don't matter. I think this "Islamofascist" thing is rather telling. The folks using this word (mostly conservatives) care only about the effect the word has on people listening to it, not the truth or defining things accurately or anything like ration thought. What's important is that when you hear the word you think "Oh no! Another Hitler! Lots of new Hitlers! ", and subsequently stop thinking about anything and just call for more troops and more war. Because we all know where appeasing Hitler got us. After much thought, I've realized why I'm not blogging very much anymore. What I really wanted, and still want, from blogging is discussion, not just my own voice in the wilderness. I truly want to understand other peoples point of view. Right now there are so many opinions and views I disagree with, and I seem to have less and less understanding of how they could possibly believe the crazy things they believe (yes, I know I'm the one with the crazy beliefs). But I haven't been getting that, and more interestingly, I have not seen it in any other places. Usually a blog is manned by an individual, or multiple individuals of a very similar ideology. The discussions that do happen are usually in comments sections or on forums. And those are very much a hit and miss affair. Even when there are good discussions, they almost never continue long enough to reach any kind of understanding. Or, they are overwhelmed by the strident, the rude or the smug, never recovering. I've been involved in several of these and only ended up frustrated. I want people who truly desire to get to the root of our different world views. I want some people who would commit to a long term discussion, to questions with thoughtful answers, to stopping before typing to make sure you really understood the point. It's not easy, but it's certainly worth trying. Most of what we have these days is just disagreement, not discussion. Even the "tolerant" people are usually as smug and self-righteous as the "intolerant", imagining themselves as superior than those ignorant, unwashed masses. So, to my friends and the few who read this, I ask if anyone is really ready to talk? Obviously, it would help if you had significantly different views than mine, though I'm sure there's not a soul alive I agree with 100%. But mostly, let's just try and figure out why the other person is so hopelessly misguided! And that does need to be the presumption: misguided, not evil, or stupid, or selfish, or clueless. You guide a "lost" person by first going to where they are, and then traveling with them to known territory. And you may find out in the process that they're not lost at all.